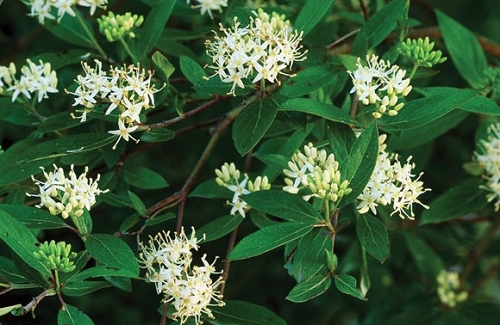 The flowers and fruits, plus red stems in fall and winter, make this a 4-season shrub. good for rain gardens & wildlife. I have a 5 foot high plant in my back yard - still growing. placed a bird bath on the ground a few feet away to keep soil moist when I flush the bird bath regularly. 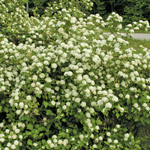 The pretty white flowers attract lots of insects and the fruits are just more natural bird food. Pretty red stems in winter on new growth. I plan on getting a few more of these. have not had a problem with spreading.